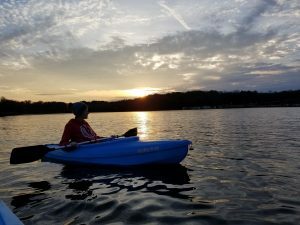 Living in an RV has so many advantages! 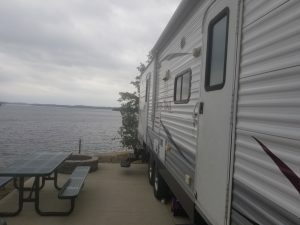 Making the decision to live full time in a travel trailer has many components. Most people immediately think about downsizing their stuff for obvious reasons. You can no longer fit the same items you did in your multi level home in to your 200 – 400 square foot trailer or rv. There are many other things that need to be considered as well. Where do you park, how do you get power, what about water/sewer, how much will it cost, what happens when you need maintenance, and of course temperature changes? This is not an all inclusive list of concerns, but does cover several. This article will specifically address temperature changes. Being from Minnesota we know a great deal about the wide range of temperature possibilities. A Minnesota winter has a nationwide reputation as extremely cold. Most people just do not know how cold. In Minnesota it is not uncommon for 30 below 0 temperatures in the winter, especially in January and February. Nationally people are usually surprised to hear that Minnesota also gets very hot and humid in the summer. Heat indexes can often break 100 for multiple days every summer. Our climate in Minnesota is fairly rare as it has a 130+ degree swings in a single year. This can present several challenges living in a poorly insulated camper. In the summer you will have completely different challenges than in the winter. In the summer it is important to have AC units working and trying to stay cool can be difficult at times. You need to ensure you have enough power to run your trailer, a 30 or 50 AMP is pretty typical to run your AC, Water Heater, Refrigerator, etc. Do not try to run your AC if you are on standard 110 power. Another tip that could really help is to put (affiliate link) reflective foil in your windows to keep the heat from coming in through your windows. You do not have to worry about water in the summer in most cases. Now let’s address what to do when the temperatures get cold. There are more issues to consider when the temperatures drop. You’ll still need power as described above, especially if you are running electric heaters. You will want propane to run your furnace, make sure you test your Carbon Monoxide detectors as a good practice. This will keep you comfortable while the temperatures are still above freezing but still chilly (35-55 degrees). Once the temperatures start dropping even lower than this you will have other things to consider; skirting the bottom of your trailer/rv if stationary, preventing your water from freezing, or even winterizing your rig. Skirting is where you block off the underside of your trailer/rv in order to help insulate the under side. Many people use foam insulation sheets, plywood, or tin. In some cases you can run heaters underneath your rig to keep everything above freezing including your water lines. Skirting is difficult to do if you are not stationary, as you won’t really have a way to pack and store them easily and setting up at each site would be time consuming. However, if you are stationary it would be highly recommended. There are ways to prevent your water from freezing as well. The most exposed area is the your hose and outside hookup. There are a few solutions to utilize. 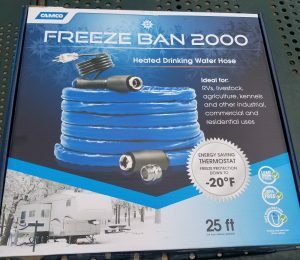 We use the this heated (affiliate link) Camco RV Hose which has a thermostat built in and will kick on when temps fall below 42 degrees and warm until water reaches 55 degrees to prevent freezing and overheating. The video we created to show this hose is below. 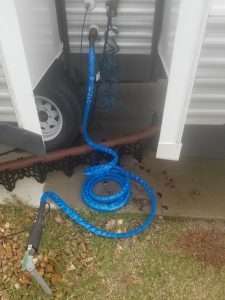 You can also use heat tape or pipe foam to insulate a regular RV hose. Another helpful tip is to let your faucets drip a little overnight if it is expected to get cold. Running water is less likely to freeze. Winterizing is the safest option in order to ensure you do not have any problems with your water/sewer. The downside to winterizing is that you will not be able to use your sinks/water/bathroom while it is winterized. Winterizing is the process of blowing the water out of your water lines, draining and blocking off your water heater, filling your water lines and drain traps with RV antifreeze, draining your Fresh/Gray/Black water tanks. We will create a separate post on just winterizing soon (when we winterize our rig). I really hope this post helps you solve some problems, have a very blessed day!